The first two tour dates of the 2019 tour have been announced today with tickets going on sale in the next couple of weeks. Tickets for the Orange Beach show go on sale next Friday, November 2nd through Ticketmaster while the Sacramento show goes on sale the following Monday, November 5th through Ticketmaster. Stay tuned for more tour date announcements and be sure to subscribe to get tour date updates sent to your email! 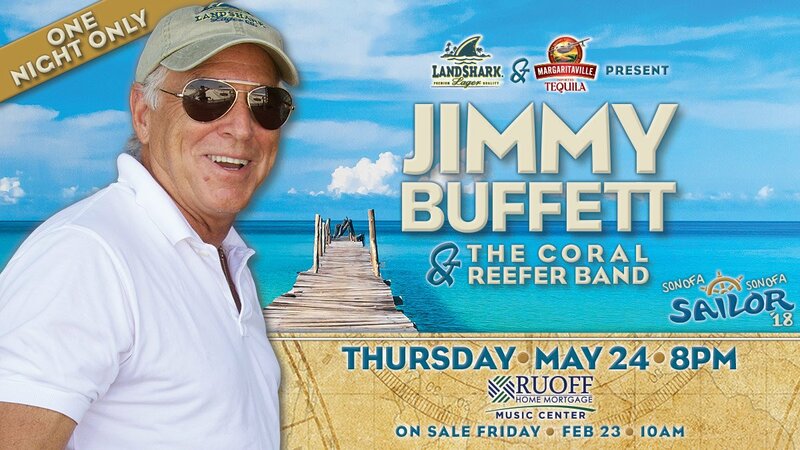 Buffett, who was tapped to open the 2018 concert season at PNC Music Pavilion on Saturday night, has rescheduled the show for Friday, April 27, due to an unseasonably chilly weather forecast that also includes a chance of thunderstorms. 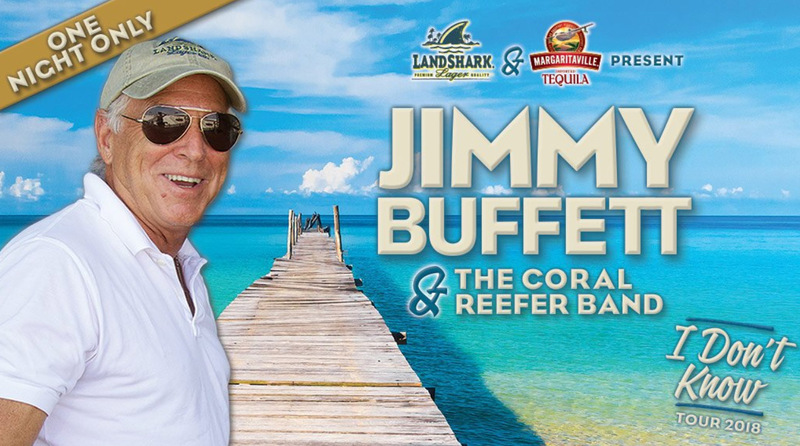 Anyone with tickets to Buffett’s Charlotte show can hang onto them and use them on April 27 (no exchange is necessary), or get a refund wherever the tickets were purchased. The Carolinas shows are part of a high-profile spring for Buffett, who turned 71 on Christmas Day. On March 15, “Escape to Margaritaville” — a jukebox musical-comedy featuring 20 numbers written by Buffett — premiered on Broadway. 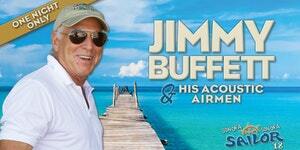 Jimmy Buffett and his Acoustic Airmen (Coral Reefers Mac McAnally, Robert Greenidge, Eric Darken, Nadirah Shakoor and Tina Gullickson) along with special guests Sonny Landreth and ukulele virtuoso Jake Shimabukuro will perform a rare concert at the historic Saenger Theater in Hattiesburg, Mississippi. Tickets go on sale this Friday, April 6th through Eventbrite. View all of the 2018 tour dates that have been announced here. See all of the dates that have been announced so far on the tour dates page. More tickets will go on sale next week. See the 2018 tour dates.